Drowsy Monkey hosts this lovely meme MELLOW YELLOW MONDAY. 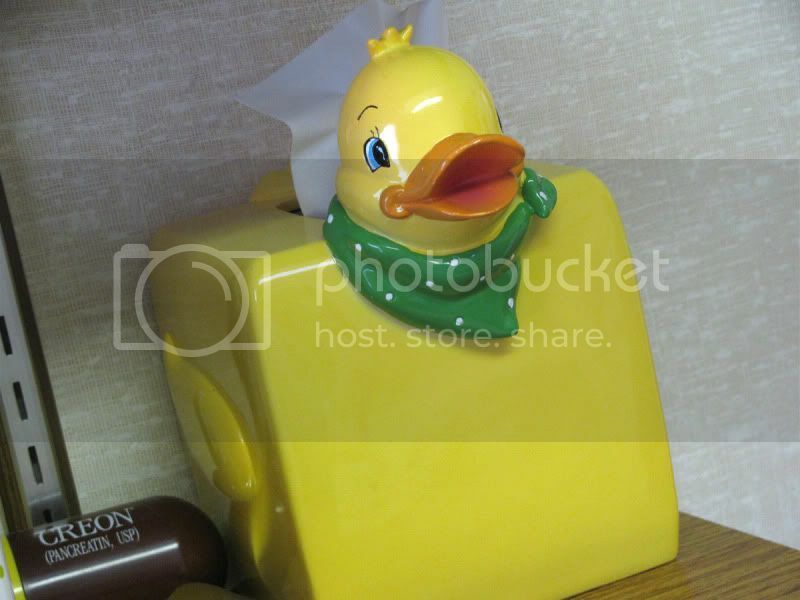 A mellow Yellow ducky tissue holder in my doctor's office. Great tissue box. So very cheerful. I guess he wouldn't want to join his yellow buddy in the tub! At first I was like "a square rubber duckie?" then realized it was a tissue box cover. That is certainly unusual and quirky! A smiley piece at the doctor's! Search for "mellow" in the article. 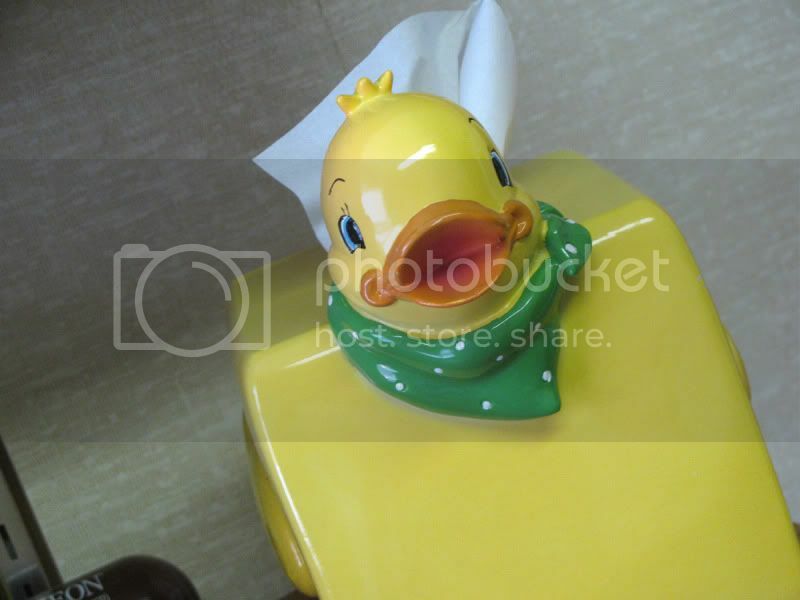 I just love this ducky tissue box. Adorable. How cheerful and no doubt reassuring to children. What fun! Love the tissue holder. I think that is the cutest tissue holder I've ever seen! I don't play Mellow Yellow - but I just had to pop in here and tell you!